Hello again! 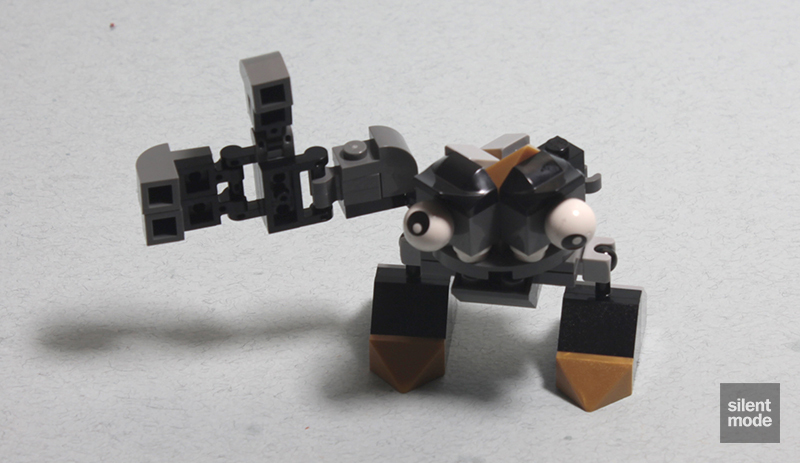 We’re continuing our exploration of Mixels Series 1 in this review, starting with the first of the black/grey Cragsters tribe. Let’s see how it compares to the Infernites! At face value, the black/grey sets in Series 1 look the least impressive out of the three – but let’s withhold judgement until we’ve built the thing. 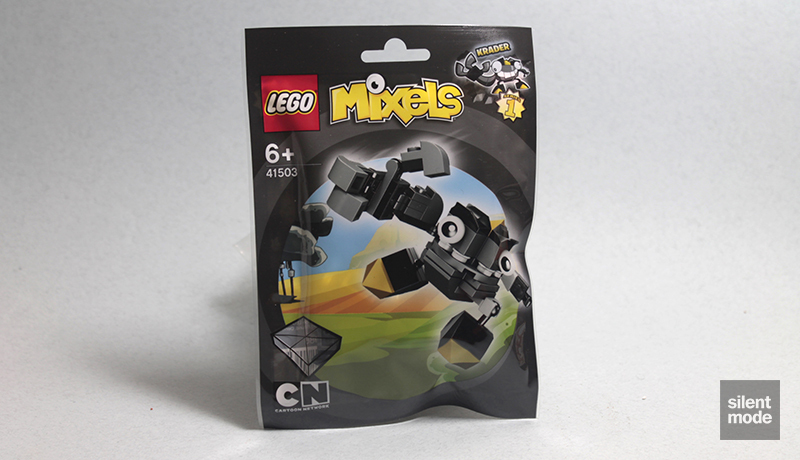 That transparent square on the bottom left turns out to be a device the Mixels use to mix themselves together to create different kinds of Mix, Max or Murp Mixels – you can see it in action by watching the cartoons, either on Cartoon Network or on YouTube. 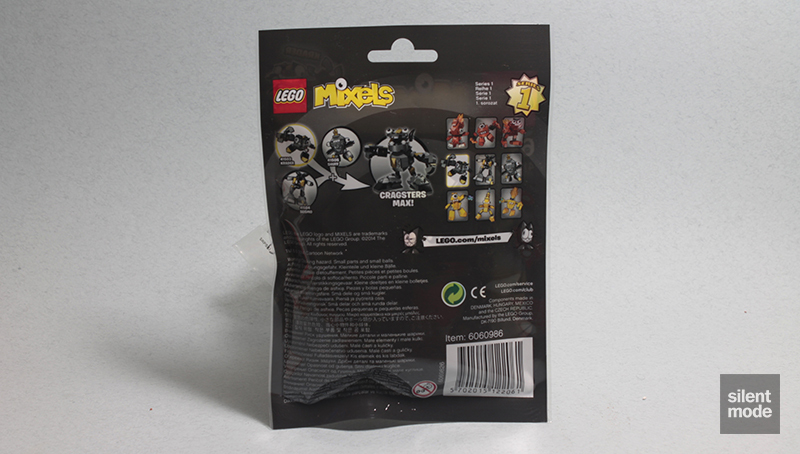 The back of the packaging is much like the red ones, with the current Mixel highlighted. Again we’re restricting the view to the parts I find most interesting, and this time around we have four Pearl Gold half-pyramids, a couple of odd slopey parts in Black (part 47458, classified for some reason as a modified brick), and two kinds of the new joint plates. You’ll also notice the printed 2×2 White round plate, which means this set comes with a Nixel: that particular tile is currently exclusive to this set. There are four 1×2 tiles in Dark Stone Grey: one went missing – or I just couldn’t see it – at the time of photography. 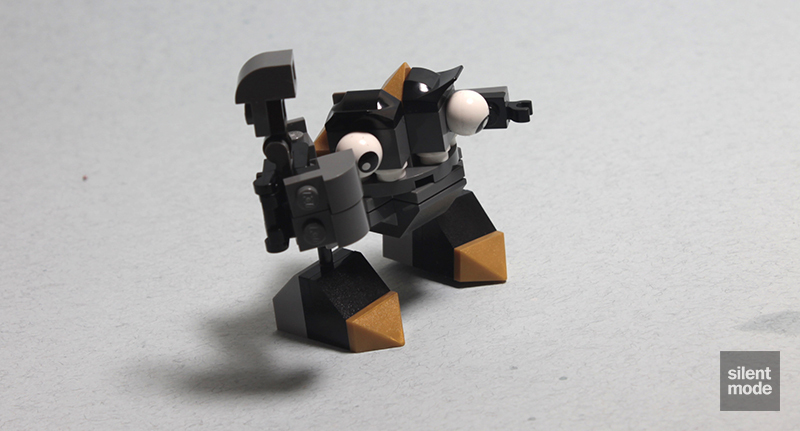 Unlike the other Mixels, this one makes use of a turntable plate for the body. 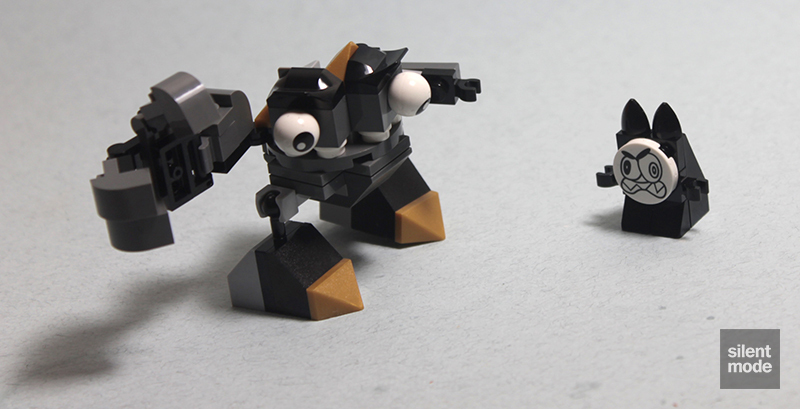 The two Black joint plates are used to give Krader some stubby legs. A highly embellished head, formed using a 4×4 circular plate in Dark Stone Grey, is eventually added to the torso. A very clever technique using 1×2 Technic bricks, half pins and the new eye parts is used to position the eyes perpendicular to each other. …and to make that arm even bigger, Krader gets this giant hand added to it. The hand is very basic, with only two fingers and arguably a thumb. It does look cool. Introducing Krader: the easygoing rock-type Mixel with a punch that can shatter mountains. Be sure not to cross its path as it’s much faster than it looks. Super-strong KRADER is tough guy, has a short fuse and is as close to a leader as the Cragsters have. With a rotating torso and a massive hand that folds into a demolition ball, KRADER can bulldoze through rock and dig deep pits to trap Nixels. Okay, a lot less violent than my description! Much like with Vulk, who also came with a Nixel, we have a few spare parts left over. Strangely enough we have a 2×2 round plate in Black left to play with; I checked the instructions to make sure I hadn’t left it out. 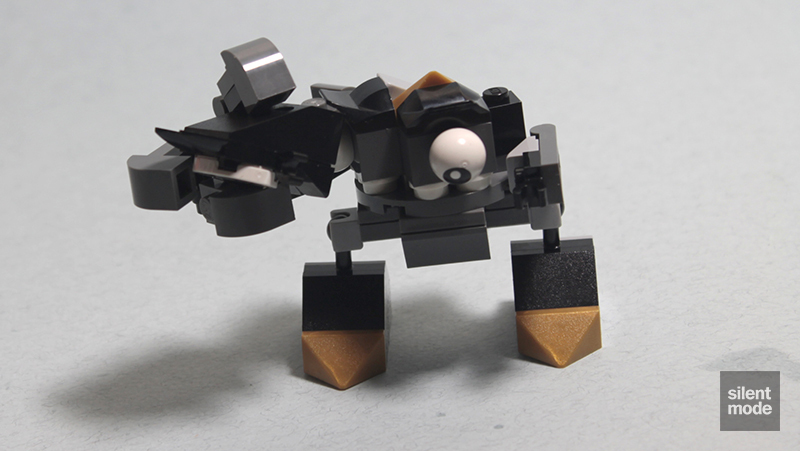 Without trying to ruin the remaining reviews, Krader is my favourite of the Series 1 Mixels by quite some way. I like the overall design, particularly the large hand and the rotating action of the head/torso, and having bought one and built it, I would be content with purchasing – perhaps even receiving – another. It’s a shame that Krader’s legs are so short, which restricts its ability to pose somewhat. With a little creativity you can have it do almost whatever you want to do, or you can always modify it to use longer legs. That’s what LEGO is for! With that said, I’m giving Krader 6.6/10. Go get it while you still can!